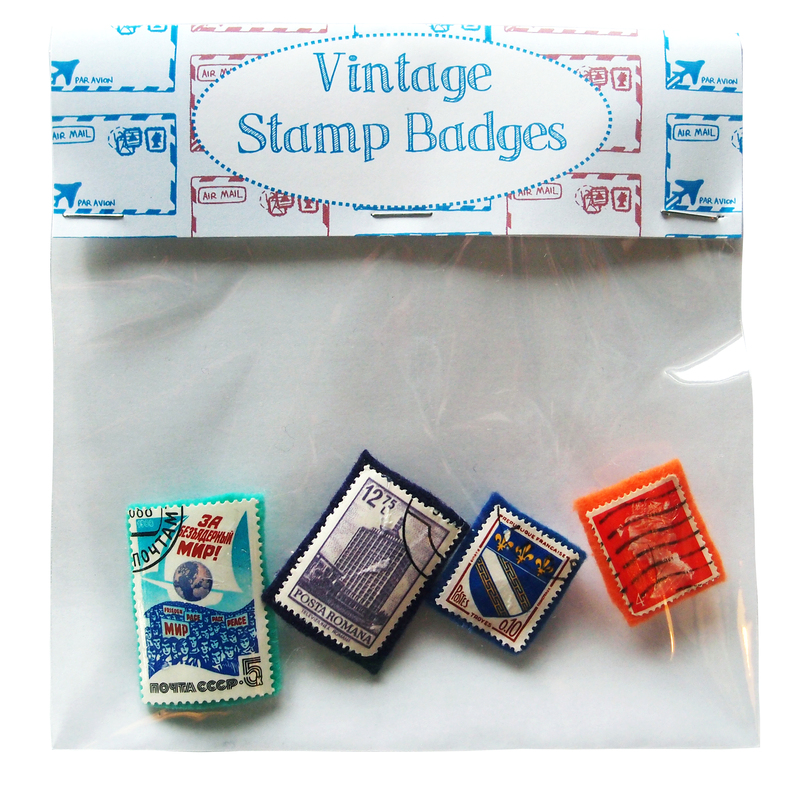 Vintage Stamp Badges- Lucky Dip! I’ve got some new items for sale. 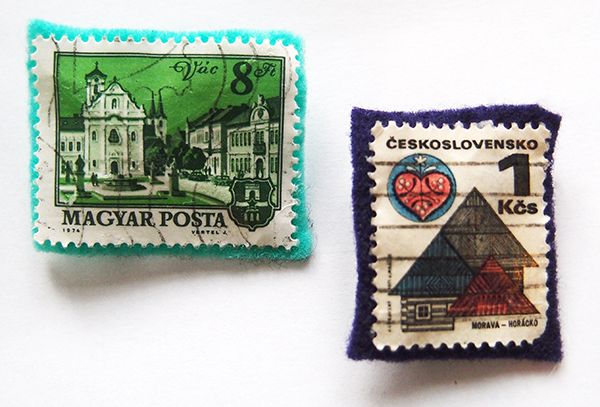 Four brooches made of varnished vintage stamps from an assortment of countries, backed with felt and a badge fastener. Sizes and designs vary. Please note you will *not* receive the same stamps as in the photograph, each bag is different.